Want to help greyhounds find their furever homes? Grab the GreySave Jack Bar! 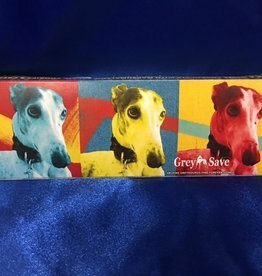 $2 from each bar goes to GreySave Greyhound Adoptions. The GreySave Jack Bar is a 1/4lb of dark & white chocolate with marshmallow cream & cookies & cream!